You know that feeling after you leave the salon. Your hair has body, bounce and shine and you know you look great. But no matter how hard you try to replicate that look yourself, you can’t quite master it. Enter Blow In Blow Out. 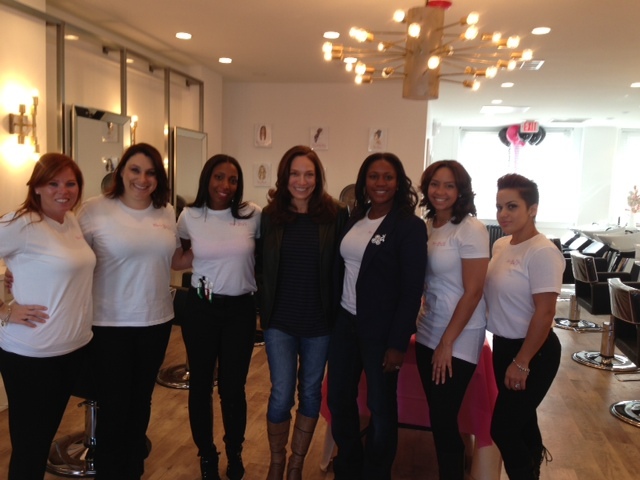 Tara Galatt, CEO and Owner of the soon-to-debut Blow In Blow Out in Summit, NJ knew this was something she had to do after experiencing a blow dry bar while on a trip to Los Angeles. She set about finding the perfect location in a walking town where women like to take care of themselves and would appreciate this affordable luxury. Blow In Blow Out aims to be the best at one thing. The perfect blowout. With a menu including aromatherapy scalp treatments, shampoo and conditioning serums and six signature styling options (all for only $35!) plus braids, ponies and updos, Blow In Blow Out is poised to take the town by storm. I for one, can’t wait!